If you've never heard of Capital One before, then kudos! The rock you've been living under must be fantastic. Their commercials are everywhere, and it's hard to avoid getting preapproved offers in the mail if your credit score is high enough. Capital One is one of the biggest credit card companies out there, and what you'll read here is the most comprehensive guide of their services that you'll find anywhere on the web. What kind of cards does Capital One offer? Capital One was founded in 1988 by Richard Fairbank based on the belief that that he could provide customized financial products to his customers. What started as a small bank division is now a Fortune 500 company with branches in New York, the District of Columbia, Texas, and several other states. The company has won dozens of awards not only for their workplace, but also for their leadership and community relations. The company has a credit card to fit every situation and need, whether you are looking for your first credit card, or you're looking for a card to yield the best bonuses. The Capital One Venture Rewards card is only for those with Excellent and Good Credit. It's one of the highest rated travel rewards credit cards on the market, providing unlimited rewards and a ton of bonus miles if you meet the criteria. Another benefit of the Venture Rewards card is the lack of foreign transaction fees, fraud coverage, and other features like concierge services. 94% of customers recommend the Venture Rewards card. While the Capital One VentureOne Rewards card requires Excellent and Good Credit, it provides less rewards than the Venture Reward card. The VentureOne card gives miles for every dollar spent, or travel rewards for every dollar spent. Like the Venture Rewards card, the VentureOne card has no foreign transaction fees, fraud protection, and additional features like concierge services, emergency card replacement, and more. Like the other high value rewards cards offered by Capital One, the Quicksilver requires an "Excellent" credit rating in order to qualify. The Quicksilver provides cashback rewards on every purchase with no upper limit. Receive unlimited 1.5% cash back on every purchase. No rotating categories. You earn for every dollar spent, as well as a one-time cash bonus. The QuicksilverOne Rewards card is a great choice for those with middling credit, as it only requires an average credit score for approval. 95% of customers recommend the card, and it includes bonus features like auto rental insurance, travel accident insurance, and 24/7 roadside assistance. Capital One's Platinum card is the perfect option for people trying to build their credit. It requires only average credit to qualify and grants access to a higher credit line if you make the first five payments on time. The Platinum card is recommended by 93% of customers. The Journey Student Rewards card is great for students. A low starting credit limit and repayment incentives teach cardholders how to be financially responsible. The included benefits aren't as extensive as some of the other cards, but still provides access to 24/7 travel assistance, travel insurance, and auto rental insurance. The Secured Mastercard is a bit different than the other cards on the list in that it is designed for people with poor credit. It typically requires a refundable security deposit. The Spark Business Reward cards are similar to those offered above, but are all aimed at business expenses. These cards don't apply to the majority of readers, but the cards are almost identical to the consumer cards with the exception of the eligible expenses. Eligibility differs depending on the specific card you apply for. High yield reward cards often require excellent credit, limiting eligibility only to those with a score of 720 or higher. However, other cards only require average credit—a range of 630-689 or higher. Capital One also offers its Secured Mastercard for those with poor credit that need to rebuild their rating. How are Capital One cards different from others? Capital One sets itself apart by offering a variety of card types so that nearly anyone, regardless of income or credit rating, has a chance of approval. Capital One also has some of the best reward cards of any on the market. Their Venture Rewards card has the best rewards of any travel card out there. Capital One's dedication to excellence is one of the factors that sets the company apart from its competition. Capital One as a company also differs in that they offer traditional checking and savings accounts. What kind of consumer would benefit most from Capital One? While Capital One has a card for every type of consumer, those that benefit most are people who travel often for business, especially internationally. The lack of foreign transaction fees is a benefit, as are the layers of fraud protection. Capital One provides interactive alerts, and if the card does get stolen, the $0 fraud liability protects you from any expenses. What are the risks of carrying a Capital One card? The risks of owning a Capital One credit card are the same as with any other card. Interest rates can be high, and a lack of discipline can result in overspending and burying yourself in credit card debt. 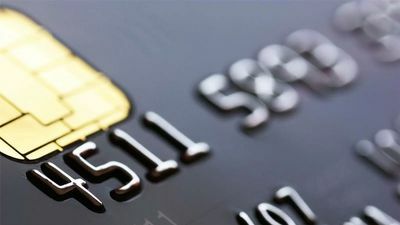 However, as long as you are careful to make your payments on time and only spend as much as you can afford to repay, there is little risk to owning a card—and plenty of reward. The cash back and miles can be redeemed, and regular on time payments build your credit. What fees are associated with Capital One? Depending on the card, there may or may not be an annual fee. If you miss a payment, you may have to pay late fees. There are also fees such as interest payments (and overdraft payments if you have a Capital One 360 account). The easiest and most common way to apply for a Capital One card is via their secure signup form. The form asks you to fill in your first and last name, date of birth, social security number, whether you are a US citizen or not, your contact information, email address, phone number, and financial information. After you successfully sign up, Capital One will reach out to you within seven to ten days with your card, or information on why you were denied approval. Is there an expiry date to the rewards offered? No, your rewards will not expire so long as you keep your account open and in good standing. What is the card’s fraud protection policy? Capital One associates are required to complete annual security training. Safeguards are put in place to protect your information. If you believe you are a victim of credit card fraud, Capital One urges you to contact them immediately. Which credit bureaus does Capital One report to? Capital One reports to all three credit bureaus. I already have a credit card with Capital One. Can I apply for a second one? Capital One allows each cardholder to have two Capital One cards. Does Capital One offer any credit cards to help build credit? Yes. The Capital One Platinum card is a good choice for building credit, but you do have options. Visit Capital One’s website to view all of your options. There are a number of different credit card companies out there, but Capital One is one of the most well-known and varied companies. Whether you're just applying for the first credit card or you're looking for something to make the most of your expenditure, Capital One is a great choice.